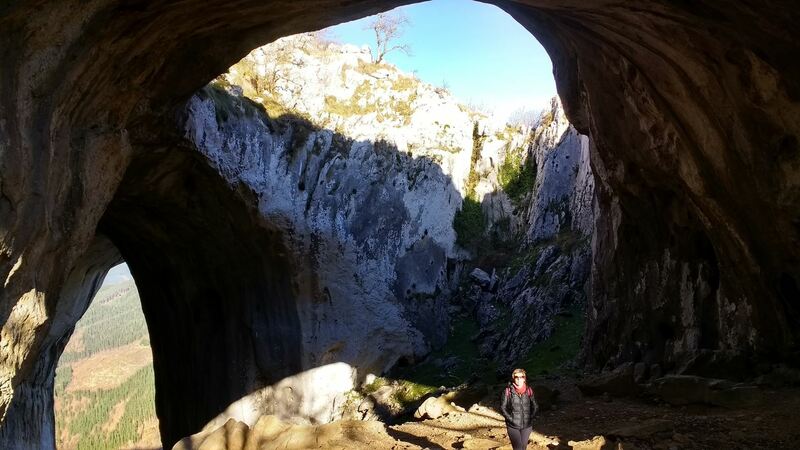 You have probably heard of the expression that, “you cannot visit any part of Iberic Peninsula without seeing one of the properties of the Duchess of Alba.” Oñati is not the only exception. If you visit the town, you can find the Lazarraga Jauregia, a beautiful palace beside the Foruen Enparantza. Unfortunately, we cannot visit the inside of the palace, but we can experience the life of such an interesting family by visiting the Lazarraga Parkea. This is one of the few parks in the town has (personally, I believe it is the most beautiful). You can access the beautiful garden by crossing the bars beside the Lazarraga Jauregia, they are usually open from nine until the sunset, except in July and August when the park is closed. Sadly, now you will not be able to visit it, but I will describe it to you. Once you cross the bars you will walk through a path with the view of the palace, its windows, balconies and creepers. At the end of the Path you will find a secret garden – beautiful in its tranquillity. I know, you are probably thinking that its a huge garden with a lot of exotic plants and the usual multi-coloured flowers from all around the world. This can’t be further from the truth. We are talking about a small garden with a circular path that invites you to walk around. During the year, the intimacy of the garden transmits peace, transports you to another time – it’s a timeless place. There are some benches where you can seat and pass the hours in the company of your thoughts – a good book or even a significant other is important! Next time you are in Oñati, especially if it is in September – when it opens again – come and visit the garden and don’t forget to come on a rainy day; trust me, you will love it. Last week I was invited by my very good friend Roberto to participate to the excursion and dinner celebrating the end of the Euskera lessons. The City Council paid us a very nice bus that took us to Arrazola, whose is next to the small village of Atxondo were we met the second oldest farm in Bizkaia. At that farm, they produce a delicious sheep cheese. All the group visited the facilities where they produce the cheese and the maturation chamber. Everything was amazing! After watching and being explained about the process we finally could try the cheese, it was a young, but really good cheese that being paired with some cider made the perfect experience. 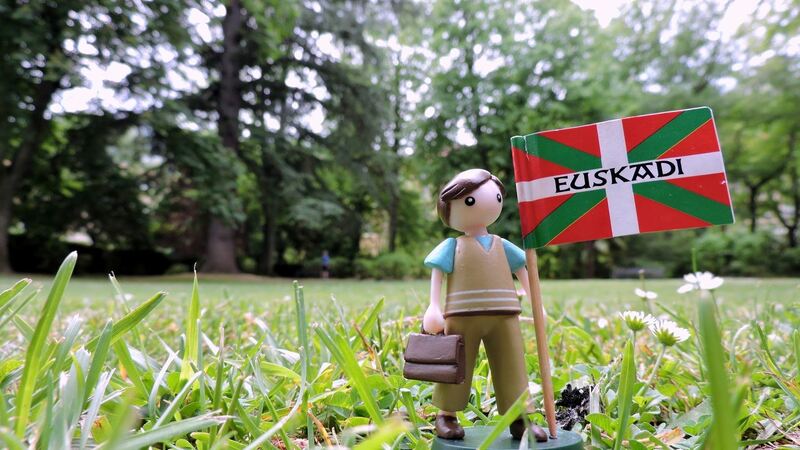 After the cider and the appetiser, we all went for a walk around the village where we all enjoyed the unequalled Basque landscape until we finally arrived at the local gastronomic society. The dinner was served on time, delicious and huge -as always in the Euskadi. The menu was: Homemade txorizo and -obviously- sliced cheese, baked chicken with salad and cheesecake with mussels and coffee. The dinner was great, but not only for the quality of the food but primarily because of the company. We sang dance and have a great time until midnight, time to come back, obviously singing Basque songs on the bus. I can’t wait to experience another dinner here, and of course to tell you about it. 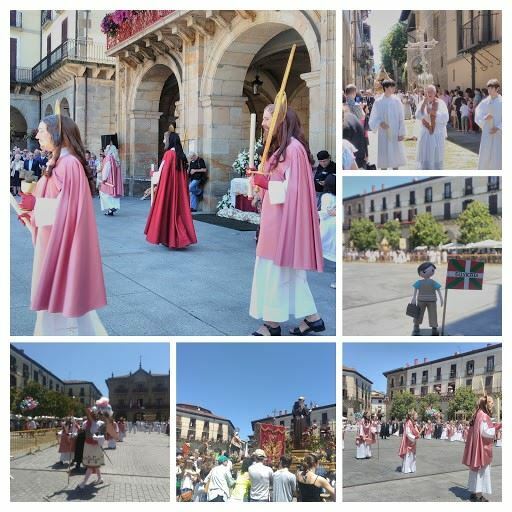 This Sunday I had the opportunity to be amazed by the most magnificent celebration I have seen so far in Oñati, I am talking about the Corpus Christi festivities. I had to wake up early and go to the San Migel Goiaingeruaren parrokia for the mass. It was full, as I have ever seen it, people standing up participating in the liturgy. 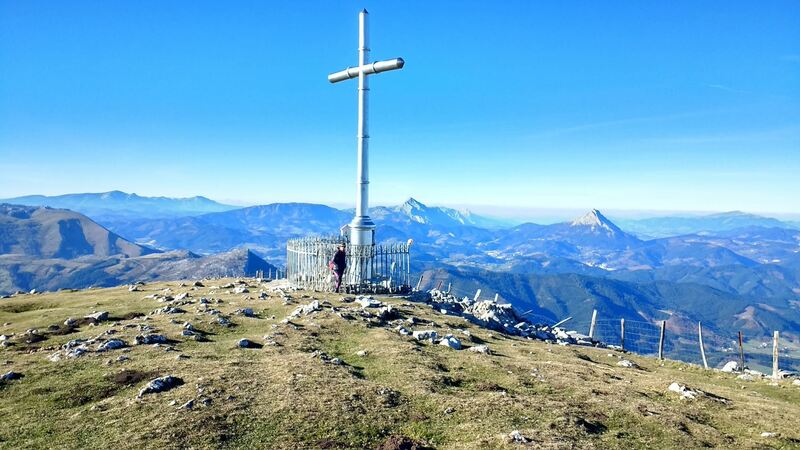 As usually happens in Oñati the religious beliefs are blended with the ancient traditions. Some old man told me this celebration has more than five hundred years being performed. During the celebration, mostly in Euskera -usual in the church- a group of dantzaris appeared to dance at the pulpit, it was a magnificent dance, full of mysticism where one can see the blend of the antique traditions of the town and the religious fervor. After the mass, a procession walked around the town, the dantzaris, a couple of bands, all the kids that made their first communion, the twelve apostles and Jesus Christ interpreted by local people and wearing amazing -and a little bit intimidating- masks walked with Michael Archangel. All of them were accompanied by all the saints “coming down” from the nearby hermitages. After the procession around the town, they arrived at a very crowded Foruen Plaza. Seems to me that everyone was there. The kids threw flowers and the dantzaris danced one more time while the church bells were ringing and the two bands were playing…it was a great time. I invite you to come next year, it is an experience you should not miss. 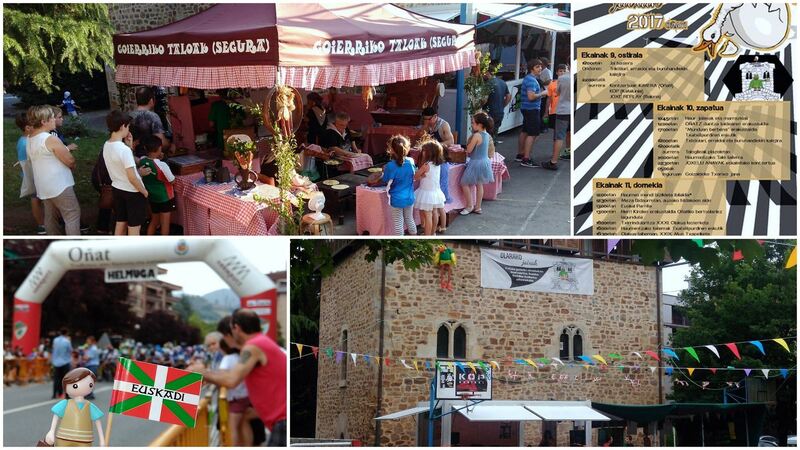 This weekend was great, in Oñati the Olakua neighborhood celebrated its annual festivities. It was a Friday, Saturday, and Sunday full of fun for everyone, the youngest had a lot of fun with games and concerts, but also the adults got amazing recitals. The firework was insane, all coming from the ducks’ lake and the big space to dance, run, have some beers and talos made the festival the perfect place to be. On Friday, this big heads and giant figures danced through the whole neighbourhood and then Kimera, from Oñati played some very good songs, after that, KOP, which seems to be a very famous band from Cataluña played some hard rock with a very deep socio-political context, the square was completely full, seems like everyone was there, was amazing. Next day, all the assistants were able to enjoy talos and the kids learned how to make them, must say it’s a delicious meal, with a lot of tradition involved, and enjoying the talos with the music of Joxelu Anayak made a perfect atmosphere. Last day we were able to see the aitzkolaris and the XXXI Olakua’s Grand Prix of bicycles. 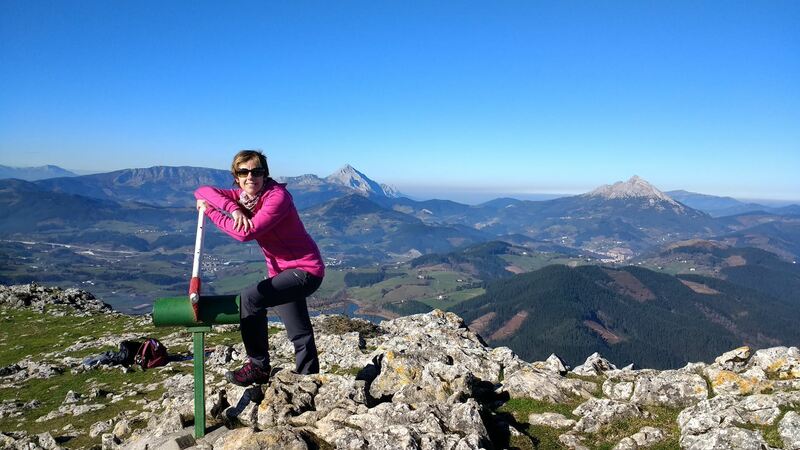 From all this what we can learn is that coming to Oñati can be really fun, as long as you know to which festivity go to. A lot of things have been said about the Oñati.Community, but I’m not here to talk about stories or repeat ones we already know. 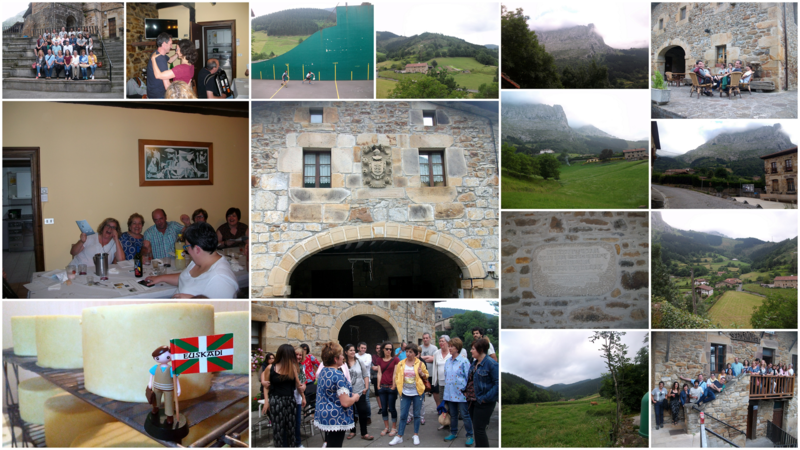 The Oñati.Community has been a long-held dream by many people and, as a product of that dream, I appeared. As Lur, I appeared in town as a product of the imagination and desire of a lot of people that wanted to show this place and experience of life but had no idea how to do it. I’m a real and I’m not - we could say. What is real is the gratitude of all the people involved in the project, for that reason I received a call from Susana. 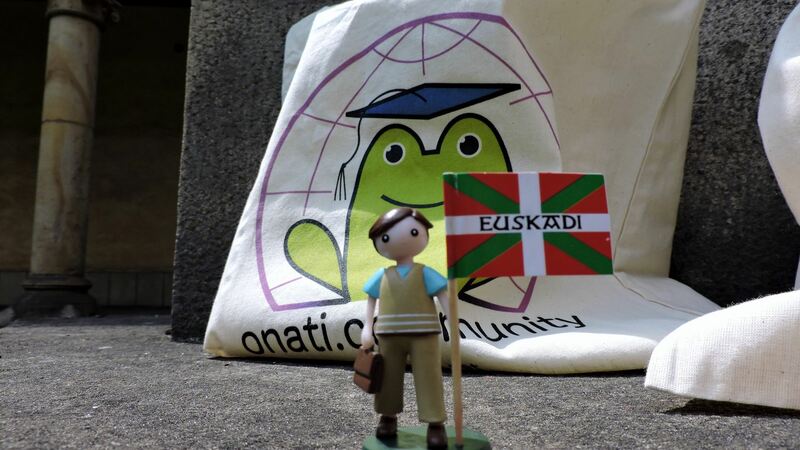 People from the Oñati.Community associated with the Oñati Municipality made a bag for all the members signed on to the Oñati.Community, it does not matter your status in the platform, this bag is for you. The bags are a little bit big for me, but they look perfect to carry books, groceries and many other things. If I were real someone could carry me in the bag - I think I would be comfortable. I want to thank Pawel Dragowski, Susana Arrese and the Oñatiko Udala for the amazing gift, subscribe and ask for yours! Durante estas fiestas navideñas, y aprovechando el buen tiempo, he podido disfrutar de algunos lugares maravillosos que nos ofrece Oñati. Aunque parezca increíble, viviendo en este pueblo durante casi 50 años, he descubierto por primera vez algunas joyas que nos ofrece la villa. Qué razón tienen los que dicen que muchas veces no valoramos lo que tenemos, y creemos que tenemos que viajar lejos para desconectarnos de la rutina y descansar. Orkatzategi, Aitzulo y Aloña, son tres de los muchos sitios en Oñati que os iré mostrando durante este año nuevo que acaba de comenzar. Feliz año 2017! While there are many things to love about living in Oñati, I have always enjoyed the mornings most. It is not that the walks on the mountains or the amazing library at the IISL are not great things in which to spend the day. It is also not that Basque Country doesn’t have some great food for every meal. 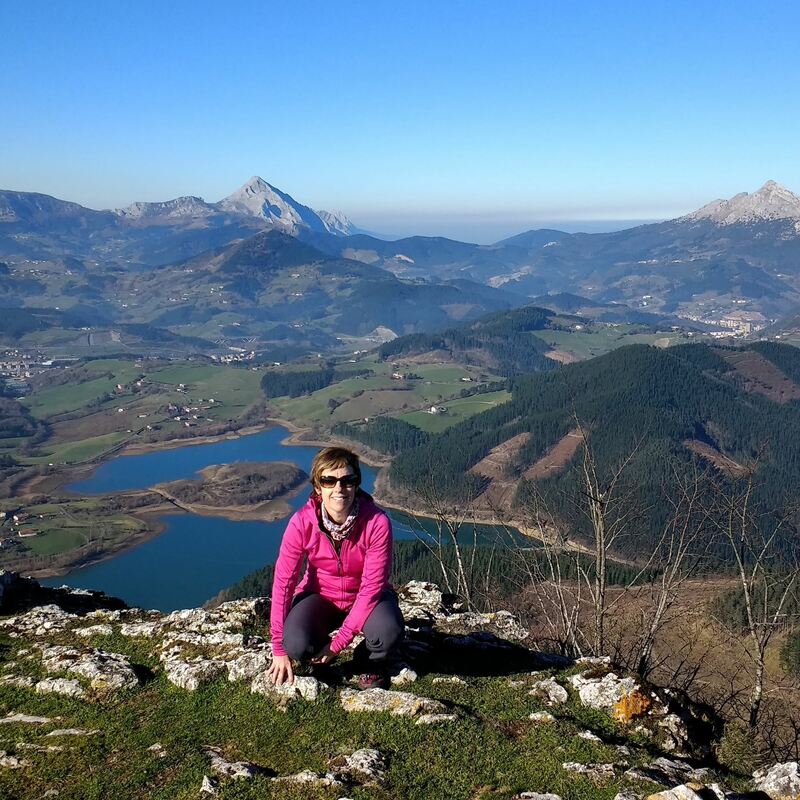 But, for me, the mornings represent some of my favorite aspects of living in Oñati: the peace, the small town community and the good food. Though there are quite a few places to have your morning coffee in Oñati, and even some newer places that are quite nice, I still like to go to the corner where Zaharra Kalea and Anton Kalea meet. Probably because it is closer to the IISL, many of its visitors and students tend to go there. Of course a big plus of living in Oñati is walking everywhere and never even thinking about traffic. However, one comes back to this coffee shop because the coffee is good and the croissants are great! Since my days as student (2009-2010), the place has changed its administration, along with the name and some of its products, but it is remains a great place to start the morning and it still has some of the best coffee in town (in my humble non connoisseur opinion). Aside from the tasty start of the day, I like the sense of community that you get in Oñati’s establishments. Even if I do miss seeing the previous owner behind the bar, I must say that the waiters there are always very nice and kind people; in that Basque sort of way that shows itself after a couple of visits if one talks with them a little. They tend to be very observant and learn the habits of people quite fast and, with the regular local customers, they tend to build a relationship based on a good sense of humor, discussing every day’s news and, of course, the weather. Oñati is such a tight knit community that regulars usually know each other quite well also. In the busy hours, people that comes through the door often greets more than one person there and through the interactions you get the sense of how the community of Oñati is built in the everyday interactions and exchanges. A couple of years ago a friend of mine showed me the photo of his class planting one of the threes in the square right outside the coffee shop some twenty years go. Now, I like even more sitting near the window to see the three. This is also a reminder of how people build towns and community; and of how people in Oñati live their town and take care of it in the process, so it is indeed their town. El País Vasco o Euskadi poco suena fuera de sus 7.234 km² de extensión. Cuando aparece en las noticias es por su proceso de paz, su gastronomía, lugares de interés y cooperativas. Pero poco se dice sobre su entramado social y su forma de organización. Y es que para sobrevivir en un pueblo de 11 mil habitantes, una rola como yo (acostumbrada a los 9 millones de habitantes que tiene Bogotá) debía conocer su movida. Llegué a Oñati a estudiar el Master Internacional de Sociología Jurídica, y aunque quisiera hablar sobre mi experiencia académica en el Instituto, en este espacio me gustaría contarles brevemente las costumbres interesantes que he logrado percibir y “vivir” en este acogedor pueblito vasco. La noche comenzó preguntándole a uno de mis amigos vascos si podía conocer a sus amigos. ¡Claro! Pensé, la forma de integrarme a un lugar donde pasaría algunos meses de mi vida, sería ir a tomar un par de cervezas y conocer los bares del pueblo a través de su gente. Llegué a la taberna en donde estaban después de la media noche. Yo sin saber que tenía que cumplir ciertos parámetros para poder ir “formalmente” con ellos a tomar Kalimotxo o varios Zuritos (palabras que para ese momento sonaban ajenas), empecé a notar que era la única mujer de su grupo de amigos. Me presentó en su Kuadrilla, sin embargo, como muchas cosas que funcionan en Euskadi con base en la solidaridad, la organización y el orden tenía que conocer una serie de “reglas” (implícitas la mayoría). En primer lugar, la dinámica usual (o por lo menos acá en Oñati) es que las Kuadrillas los días de encuentro están conformadas por solo mujeres o por hombres, pocas veces son mixtas, pues los ajenos a la Kuadrilla (los extranjeros como yo) pueden estar con ellos después de cierta hora de la noche, después de vivir por largos meses en el pueblo o si han organizado con anterioridad que estarán con un determinado grupo de amigos, del trabajo o con quienes practican algún deporte (entre otras razones). Dicha realidad es muy alejada de la vida citadina en la que crecí, por lo que con un buen amigo del Master empezamos a idear la manera para conocer gente. Así identificamos que saber algunas frases en Euskera era importante, como las horas y los días en los que la mayoría de personas salían. Por lo tanto, uno de los lugares de encuentro “tan antiguo y arraigado en la sociedad vasca” e importante es el Poteo (otro, las sociedades gastronómicas, pero no tengo espacio para describirlo). 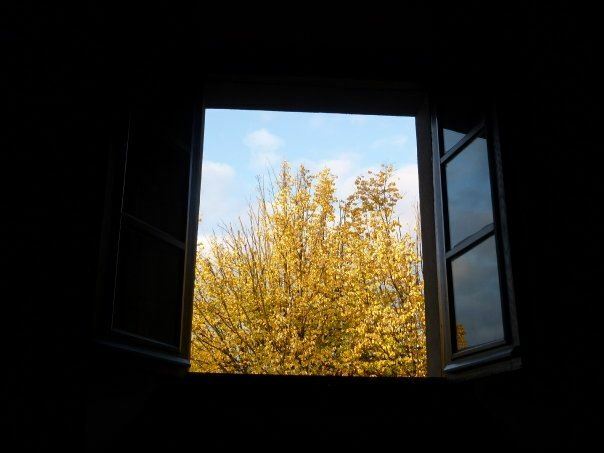 Aunque el poteo lo realizan con naturalidad, para nosotros solo los días jueves se volvieron importantes. Para los Oñatiarras es el día de Pintxo-Pote, un día fascinante, en el que te contagias de la energía de la gente, todos hablando Euskera, pero los extranjeros solo entendiendo Kalimotxo, Zuritos y Kañas. Acá se ve la misma dinámica de división de género, pero también se ven muchas familias y muchos niños. Es que la vida social en Oñati se hace en la calle. La calle es su medio de socialización. 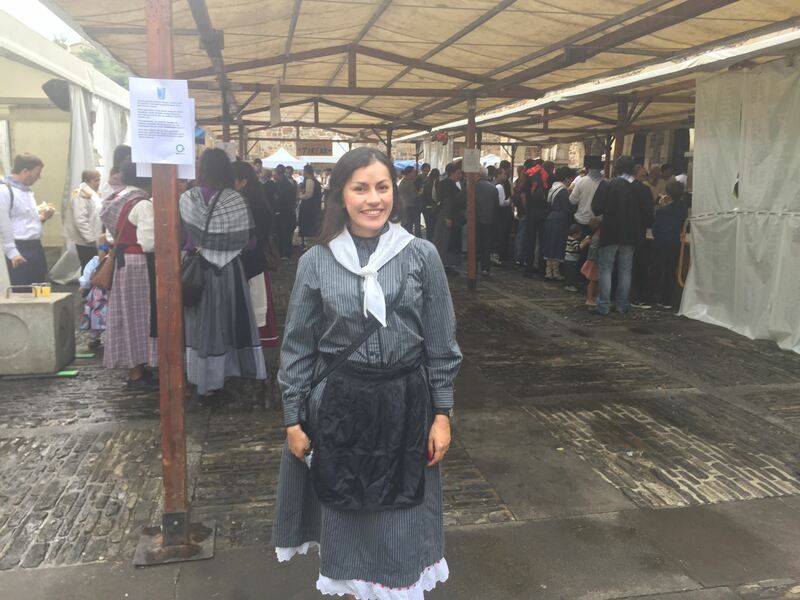 Y fue ahí en donde conocí a Ana, una colombiana que lleva viviendo algunos años acá. Luego de encontrarme primero con ella y en algunas ocasiones con las chicas de su Kuadrilla, durante los últimos 6 meses (luego de que mis amigos del Master se fueron) ellas me han dado la posibilidad de vivir con más intensidad las costumbres oñatiarras. Un día especial con ellas, empieza de Poteo hacia la 1 pm, cumpliendo otra de las “reglas”: hacer el bote (una colecta económica). El bote se le da a quien será la encargada de pedir la misma ronda para todas en cada bar que visitamos. Luego vas a comer y terminas con unos buenos cubatas. Cuando se acerca la noche sales de nuevo de Poteo (de 7 a 9 pm aproximadamente), vas a cenar (hasta la media noche, horas en las que no encontrarás mayor movimiento de gente) y para finalizar el día te vas de fiesta, hasta el amanecer. Aunque a primera vista los oñatiarras (y en general los vascos) son catalogados como tímidos, fríos y cerrados, ¡no lo son! Conociéndolos poco a poco (y en particular compartiendo con las chicas), es como he vivido mi último año en Oñati. Con sus calles y bares, su gente amable y generosa, y su forma cotidiana de socializar: el Kalimotxo, el Zurito, el Pintxo-pote y la Kuadrilla.